After a long period, recently, government policy has recognized that providing in-situ housing -where the slums are located- as a basic human entitlement. Despite regular budget allocation for this purpose, the executions by urban local bodies have been extremely poor. A study completed by IIM Bangalore in 2014 reveals that in 2012, there was housing shortage of 18.8 million units in India, largely for EWS and LIG in urban areas. This is primarily because the elite including the vested interests of cities do not want to part with the expensive land the slums are occupying. They do not value the contributions of the poor and do not believe they deserve the ‘expensive’ land they squat on. At Hunnarshala, we have committed ourselves to pushing a system that ensures housing or than 13000 families of Bhuj, about one-fourth of our city’s population. 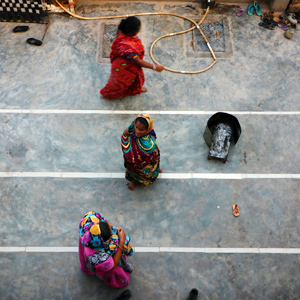 Making this happen requires a complex understanding of the sociology of slum dwellers, the land records, technical possibilities of achieving housing in limited budgets, getting innovative designs and technology approved and coordinating with generally unwilling bureaucracy at the city, state, and the centre. Further, we have seen through successive social housing programs the difference ‘Owner Driven Housing (ODR), makes to the dignity, confidence and hence the socio-economic status of the community. ODR is a process, by which people build for themselves, with social, technical and design facilitation. Organising the communities with the help of KMVS a women’s organisation and SakhiSanginia women’s collective consisting women residing in poor areas in the city. Participatory designing of their homes and homes and settlements. Getting their proposals approved by the government. Coordinating with the Municipality to help build the homes. 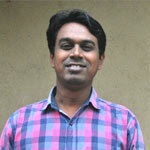 Supporting and building capacities of the slum dwellers to build good quality homes. Demonstrating new housing technologies that are environmentally sound and affordable. Planning and developing strategies for housing for six cities including Bhuj. Planning for building the service infrastructure for the slums. Preparing proposals for more slums in Bhuj city, under the Housing for All, Pradhan MantriAwasYojana (PMAY). Bhuj is a small city with a population of 1.48 lakh (Census of India, 2011) out of which a large proportion, about 13,979 families, live in slums. 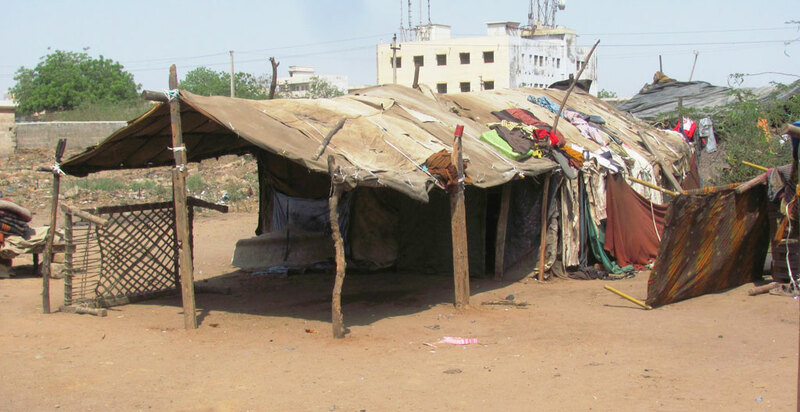 According to a study by Hunnarshala Foundation in 2016, about one-third of the city population lives on only 6 percent (270 hectares) of Bhuj’s land. None of the slums are notified yet whereas few of these settlements are 40 to 70 years old, existing from even before independence. 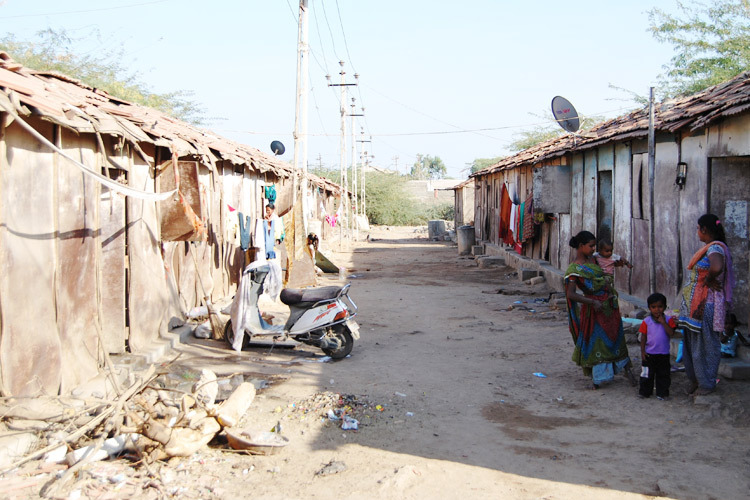 A survey conducted by K-link and Hunnarshala Foundation under Pradhan MantriAwasYojna, Housing for All (Urban) – 2022 reveals that Bhuj city has 77 slums accommodating 13,979 families with a total population of 46,140. Indeed, slums contain 31.2 percent of the total city population. Average household size in the slums is 3.35 persons per household. 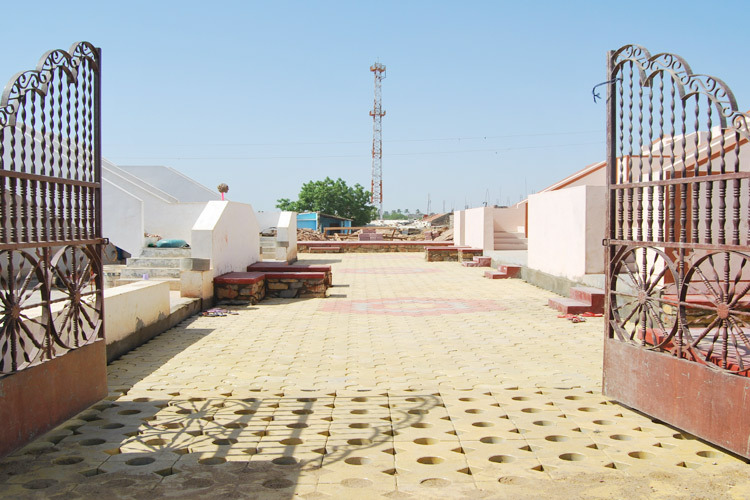 The first phase of slum redevelopment in Bhuj was initiated in 2013 covering 314 homes in three locations, under Rajiv AwasYojana, for slum redevelopment. The program is about to complete. Unique features of this programme are mentioned below. The slum dwellers received the money in five installments as they built their homes themselves. This ensured design satisfaction, cooperation to reduce costs, recycling of old materials and therefore, adding up to 30 per cent costs by the beneficiaries. The design ensures social cohesion as the homes are organized as alias or clusters. The families can grow vertically by adding floors to their tenement. The pedestrian and vehicular movement is separated from people, especially children to walk to any part of the settlement without encountering traffic. The homes are provided with sewage recycling for flushing; recharge bore-wells to improve the quality of ground water, desalination Any-Time-Water machines. This will bring water efficiencies to the tune of 30% from the baseline of how water is used in Bhuj. Solar street lights are provided. Several homes have used a unique earthen flat roof, called cloister domes; and a sloping roof design with a radiant barrier. These technologies reduce carbon emissions and keep the house cool in summers. Presently, 267 hectares of land is covered by 77 slums but the proposed plan needs only 177 hectares of land to develop housing and allied infrastructure and this way 90 hectares (30 per cent of 267 hectares) of land will be available for the city. The communities have been registered as RWA’s (Resident Welfare Associations) with the objective of self-managing their services and social development. For these reasons, in 2015, the project was included in the list of ‘Best Practices: Habitat Planning & Design for the Urban Poor’ published by Ministry of Housing and Urban Poverty Alleviation, Government of India. New Proposals for the redevelopment of 6 new slums is being prepared under the new housing scheme, Pradhan Mantri AwasYojana – Housing for All which will benefit 1091 more families. It is envisaged that the process of housing the poor of Bhuj will bring dignity to them while simultaneously releasing 90 hectares of land for the city. Dialogue with Municipality and District Administration to notify 77 identified slums in the city under PMAY. Approval from State Government for the proposed 1091 houses in 6 slum areas under PMAY. Preparation of Housing for All Plan of Action (HFAPoA) under PMAY for Bhuj city. Completion of ongoing construction work for 300 houses with infrastructure under slum rehabilitation project.